To prepare post graduate nurses to meet the challenges of nursing profession and encourage them to deliver humanistic and comprehensive nursing care to individuals, families and community. 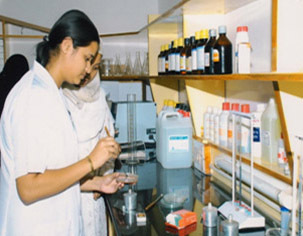 Affiliated to Dr.NTR & Kalaji Narayana Rao University of Health Science, Andhra Pradesh. Age : Not more than 40 years as on 31st Dec. of the year of admission. (Upper age limit relaxed by 3 yrs for SC/ST candidates). Qualification: B. Sc. 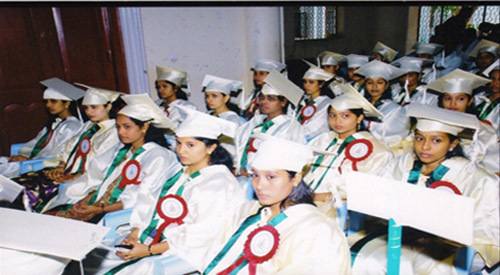 Nursing / Post B. Sc .Nursing with 1 year clinical experience after Registration. Spacious, well furnished modern academic block accommodating the Princess Durru Shehvar Post Graduate College of M.Sc. Nursing. 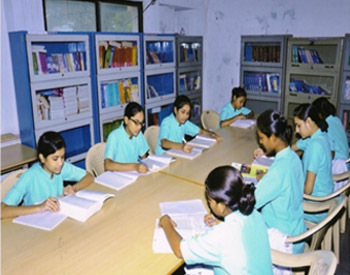 Fully equipped laboratories for Obstetrics and Gynaecology , Medical and Surgical Nursing, Community Health Nursing, Paediatric Nursing and Fundamentals of Nursing. Multipurpose Auditorium for seminars, lectures and workshops. Fleet of modern transport for field trips and excursions. Excellent hostel with well furnished dormitories and mess facilities. 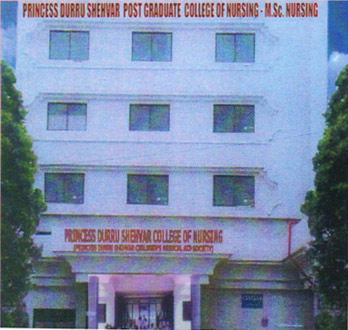 Clinical training is the strength of Princess Durru Shehvar P.G. College of M.S. Nursing. The college has the permission from the Govt. of A.P. for clinical practice in ENT Hospital, Government Maternity Hospital and the Osmania General Hospital. 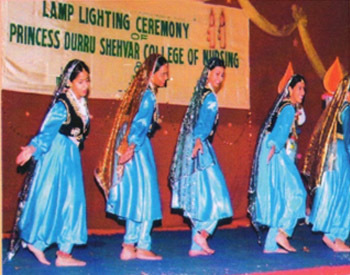 Students also undergo clinical training at the Sadhu Ram Eye Hospital, Asha Psychiatric Hospital, Princess Esra Hospital, Bibi Cancer Hospital and the Princess Durru Shehvar Children’s and General Hospital.